A woman with true style can wear an outfit from a thrift store and kill off every label wearing woman in the room. That was the motto I learned when attending the first Thrift In Style Dallas event. Thrift inStyle is a new community for the Fashionably Frugal and host exclusive social events to Thrift, Laugh & Learn the art of looking stylish. With a bus full of Dallas’ hottest thrifters and stylists and a personal driver, this event aimed to expand the minds and opinions of thrifting in the big city. The event was co-hosted by Jessica Ayers , Alexandria Gilliard of The Garb Dynasty Style Concierge, and Prescilla Collins of PresciStyles. The ladies were amazing and so hands on! It was like having a sale for hiring four stylist without paying them individually!! We went to a variety of thrifting locations such as Dolly Python, which is a truly unique and authentic vintage store. For lunch break, we hung out at Klyd Warren Park; which is filled with restaurants, pet area, food trucks, loads of water fountains and play areas to entertain the kids and the kids-at-heart. I ended up eating at the Nammi food truck because I love there Vegetarian Tacos and homemade lemonade. Overall, it was a great event and I will be visiting several thrifting stores in the area. 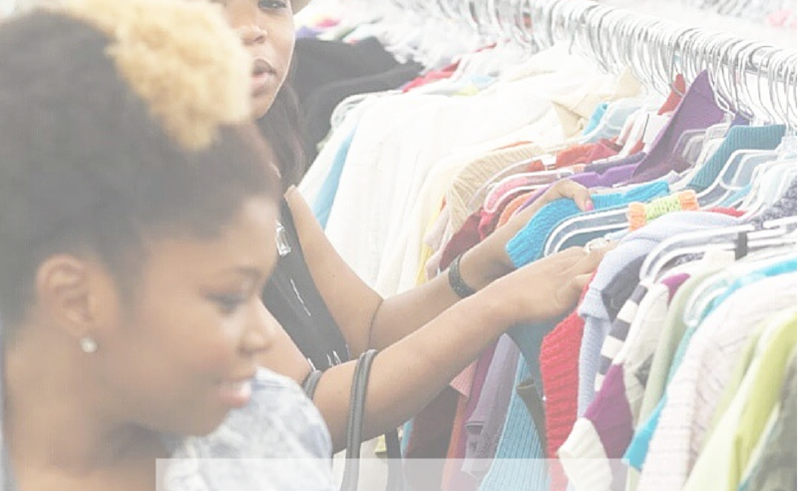 If you are in Dallas area, here are some of the popular thrift stores recommended by the stylists.